I like a good murder mystery, be it an Agatha Christie novel or Benedict Cumberbatch reinventing Sherlock Holmes for the small screen. But I have never been involved in one, thank goodness! 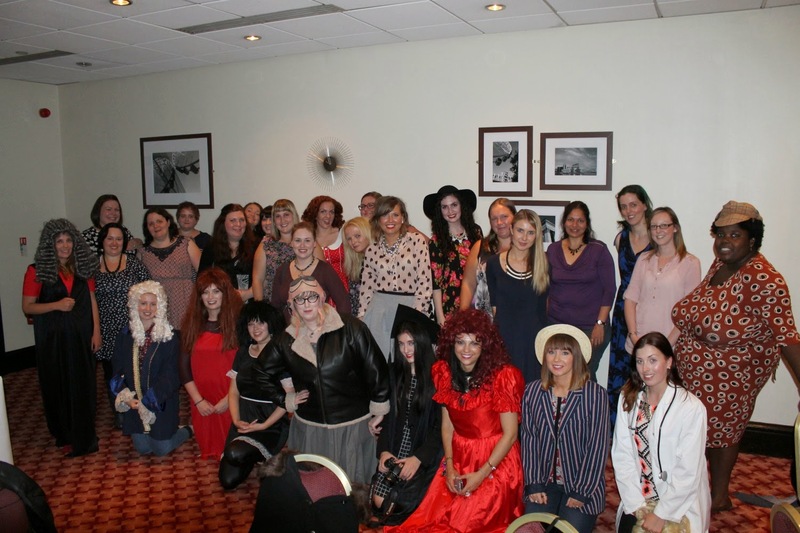 So when I got invited to a murder mystery evening at a posh Manchester hotel, I was really quite excited. The evening started with a glass of chilled prosecco and getting to know some of my fellow bloggers. There were some familiar faces and others who I was meeting for the very first time. Just as we were settling down in our seats, getting to know the ladies at our table, in comes Lord Burlington (from the Murder Mystery Company, I hasten to add), in miserable agony. Before anyone could say, "Whodunnit! ", there he lay on the floor, as dead as a doornail. Cue enter the man of the moment, none other than Mr. Sherlock Holmes with his assistant (again, from the Murder Mystery Company). The tone was set. 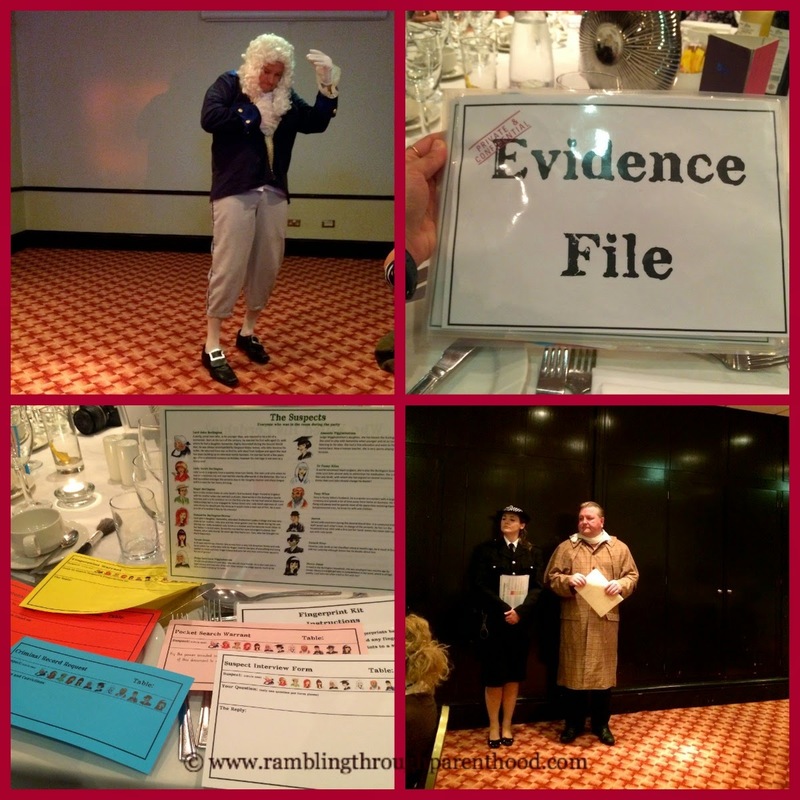 We were party to the murder of Lord Burlington, and now was the chance to showcase our investigative skills and crack the case. We were supplied with a set of clues and questionnaires. As we sat there scratching our heads as to possible suspects and motives, dinner was served. 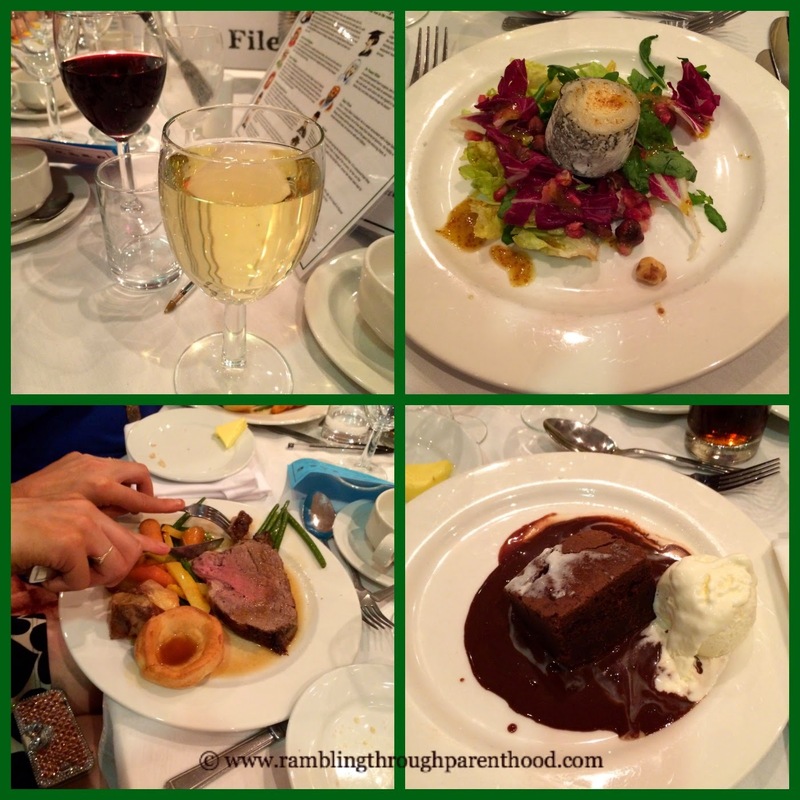 Three courses of deliciousness accompanied by some lovely wine took centre-stage for a little while. By the time the last crumbling remains of a chocolate brownie were being licked off our plates, each of us had a little theory as to who had murdered the poor unfortunate soul. Each table handed in their verdict and it was left to Mr Holmes and his team of able detectives to arrive at a decision. In a dramatic turn of events, the table of bloggers who correctly identified the murderer got roped into the theatrics. Costumes were supplied and they put on an impromptu showing of Who Killed Lord Burlington. All in good humour. The evening ended with all of us striking a pose for the cameras and the winners popping a bottle of champagne. I had a brilliant time and thoroughly enjoyed every aspect of the evening. Lovely company, great food and a murder mystery to solve. All courtesy of bgo to celebrate the launch of their new murder mystery game. Disclaimer: I was invited to attend the murder mystery evening in exchange for this review. All opinions are my own. It looked like such a fun night! The food looks so yummy also! I've never been to a murder mystery but they look great! What a fantastic event to attend. I would love to be there. I went to one years ago for a Christmas party but unfortunately everyone else was more bothered about drinking than investigating! I'd love to go to another one again. What a fun way to spend your evening! I always loved playing Clue, I'm guessing this is like role playing it for "real". Sounds like really great fun - and that dinner looked scrumptious!